Our craftsmen used the timeless medium of cast iron to create a beautiful and elegant piece of furniture with detailed relief and curves. The Ashford is available in painted metallic black, chestnut gloss enamel and midnight semi gloss enamel finishes. Burled walnut is carved for the door and bypass handles. 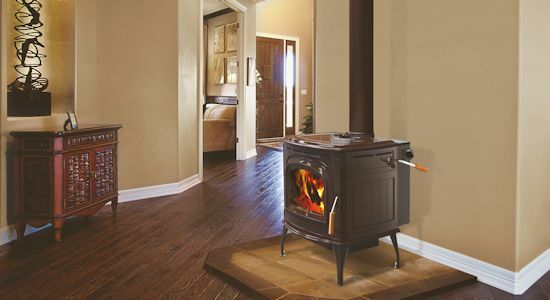 This creates a luxurious feel every time you use your stove. The adjustable, dual action door latch has a positive lock feel and is easy to operate.